Thousands have heard them sing in international competitions and at private functions, and now they are coming to Tenerife. The , based in Wrexham, North Wales, are to sing in Spain for the very first time. 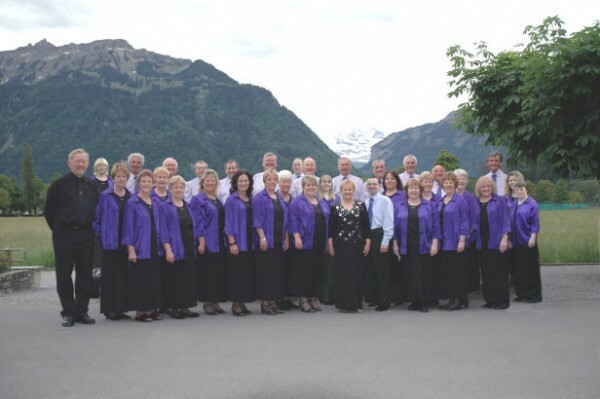 The choir has about 30 members and a lively repertoire of popular music that includes well known songs from the 40’s right up to music from more modern shows and films. For one night only they will be performing at El Marques in Puerto Santiago on Saturday 7th September starting at 7pm. The evening in association with the Santiago del Teide Lions Club, will be supported by the local singer Ian Anderson with dancing until late. A full, sit down buffet is included in the ticket price. Places are limited so early booking is recommended. Available from El Marques reception, MDI Alcala, Megatone in El Varadero, Paul Ruane in Los Gigantes.